If you like your mens leather dress shoes with fashion details like polished leather and are all about making your fashion suits pop like nothing else, you need to check out what Giovanni is all about. Giovanni makes fashion dress shoes not for the timid of style or heart. 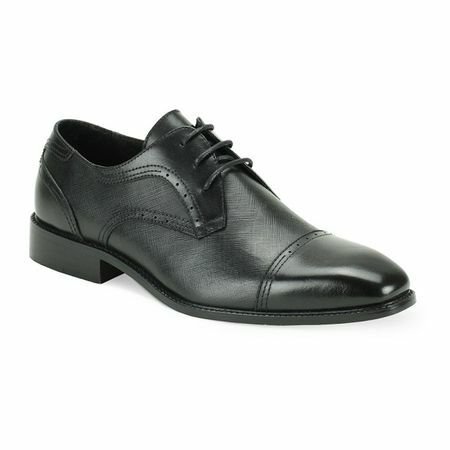 These black oxford leather dress shoes have the Italian style that you looks great.